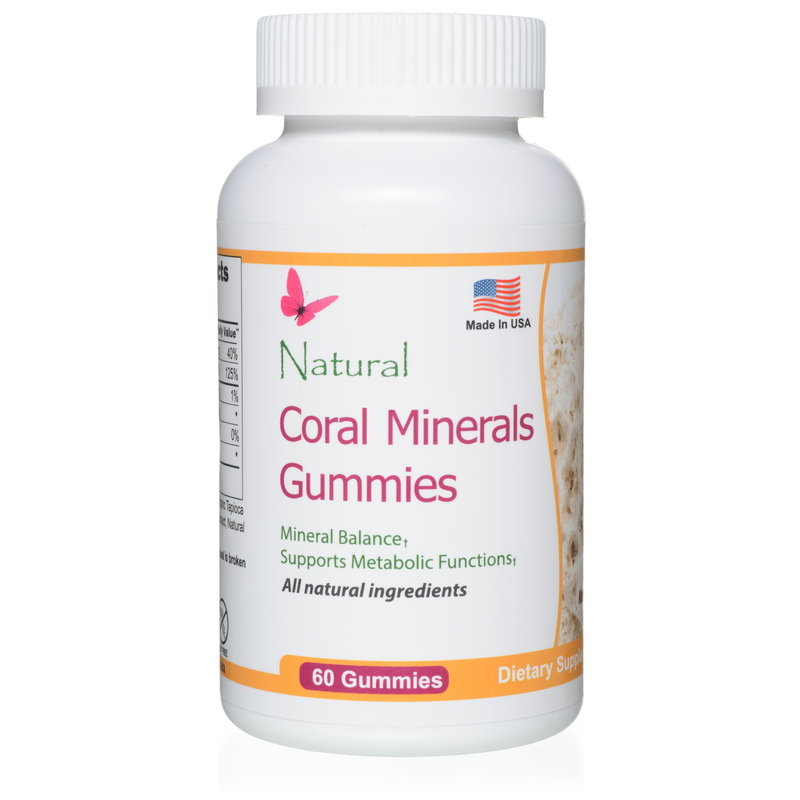 Coral Minerals is made with only natural ingredients such as Organic Tapioca Syrup, Organic Cane Sugar etc. in our gummy formulation*. Our Coral gummies are Gelatin free and 100% vegetarian. 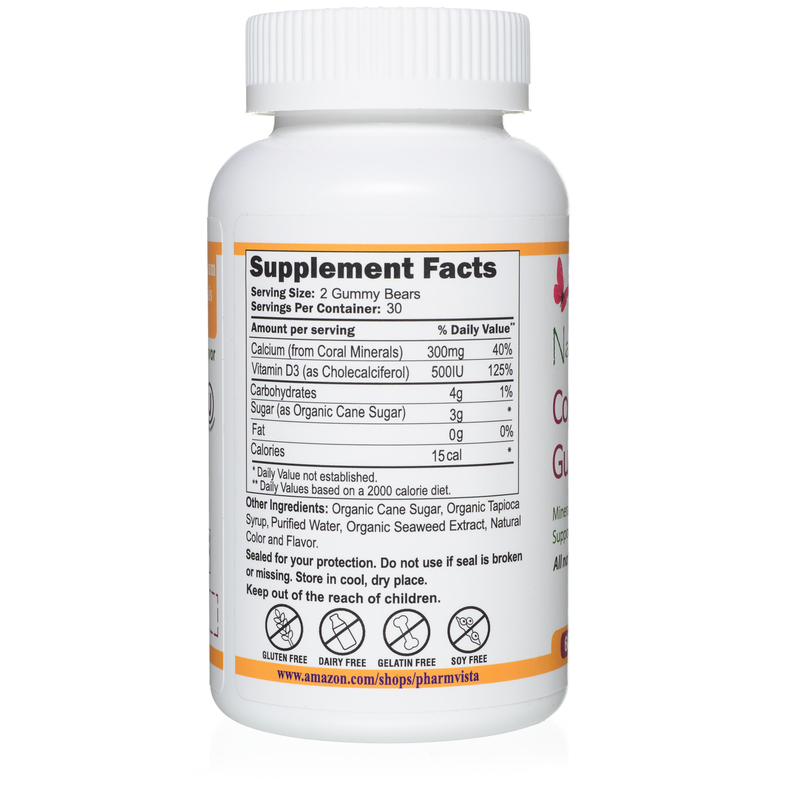 Our Coral Calcium Gummy Bear is rich in ionic calcium harvested naturally from above-sea Coral reefs. The ionic nature of Coral promotes absorption of Calcium and 74 trace minerals. Dosage :- As a Dietary Supplement, take 2 Gummy bears Daily. Chew Thoroughly before swallowing.